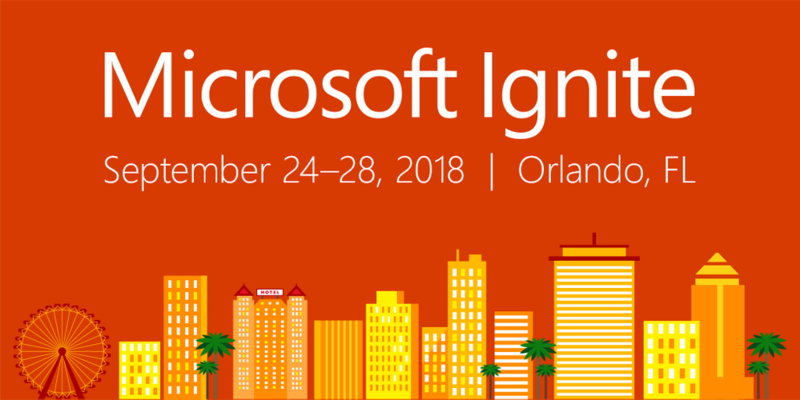 The only problem I have with coming to the Microsoft conferences is deciding which sessions to attend as there are so many great things to go and hear about. I had quite a few sessions planned for today so it was always going to be a tiring day! I have provided some key takeaways with photos and links where appropriate. The first session of the day was focused on Project Home and Roadmap following on from the announcement on Monday. 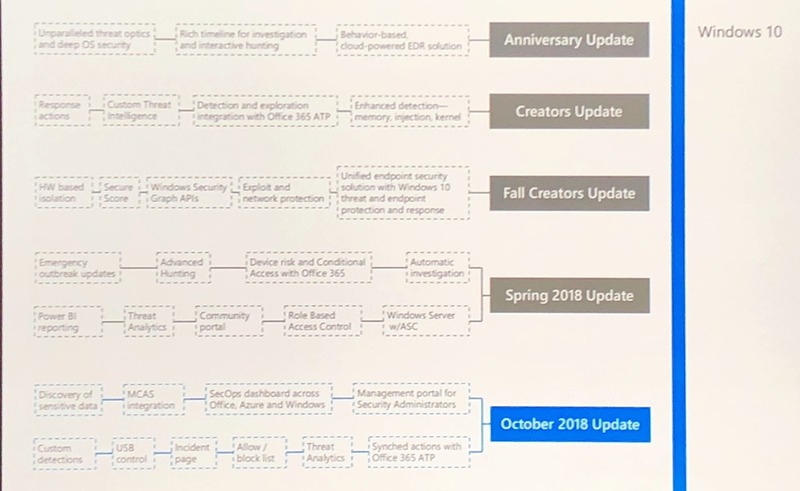 I won’t go into detail as my brother Paul Mather has already blogged a summary of the session here: https://pwmather.wordpress.com/2018/09/26/microsoft-project-roadmap-product-at-a-glance-ppm-office365-flow-powerplatform-dynamics365-azure-azureboards/ Please do take a look. 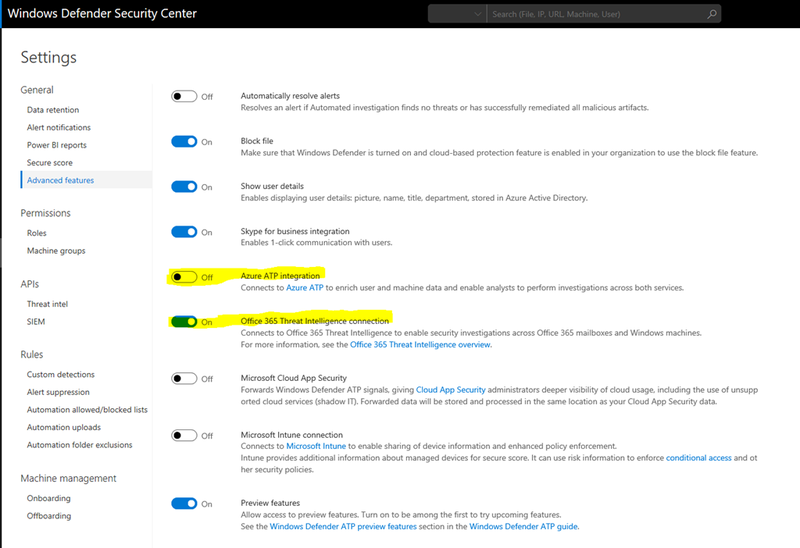 As mentioned before, I have an interest in device management so wanted to see what’s new! 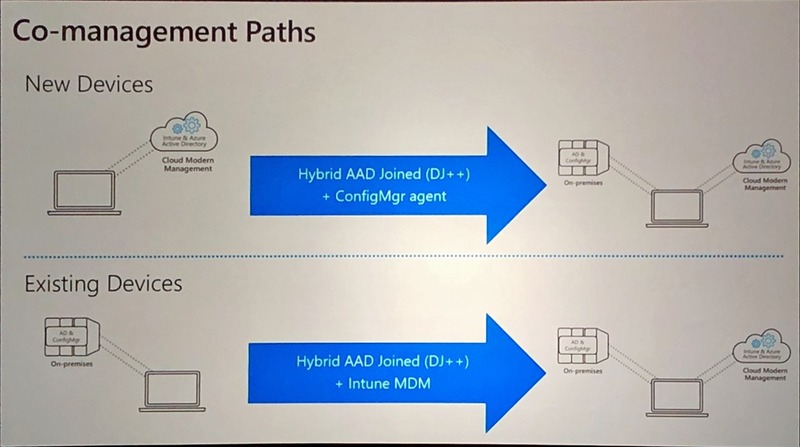 17% of customers today have parity with GPO and MDM. 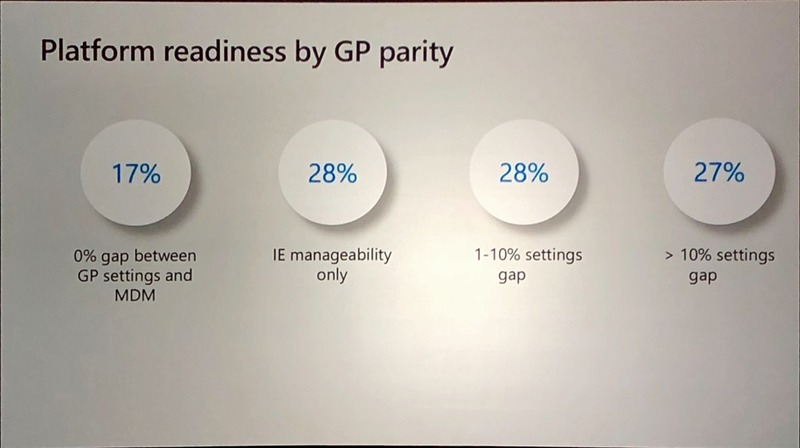 28% of customers have IE management capabilities. 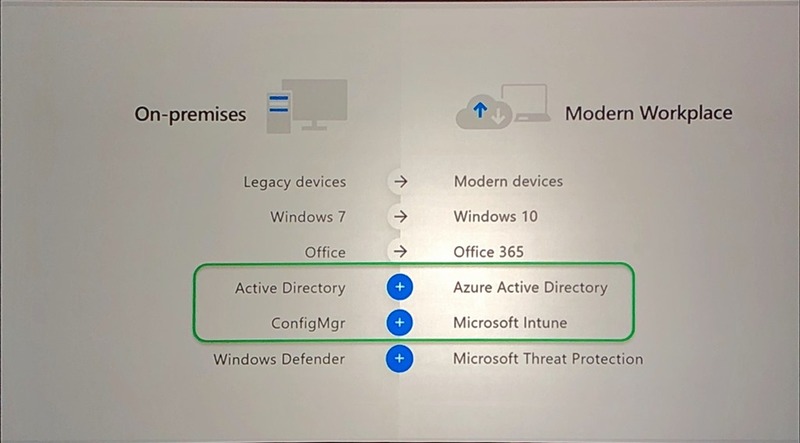 The recommendation is to move to Edge to have better control via MDM. 28% of customers have a small gap where limited settings are missing in MDM. 27% of customers have a large footprint of GPO settings that are missing in MDM. 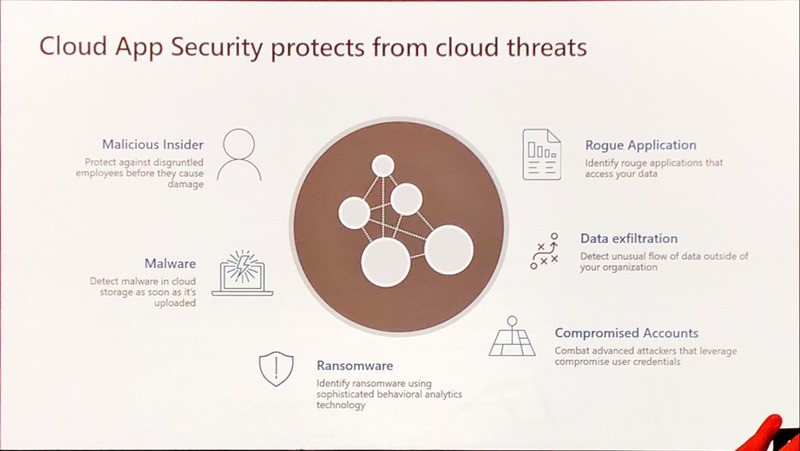 The recommendation is to connect your on-premises systems to the cloud rather than a full on lift and shift migration. This is for the better user experience. Cloud attached / co-management is a recommendation if you have already invested in the on-premises infrastructure. 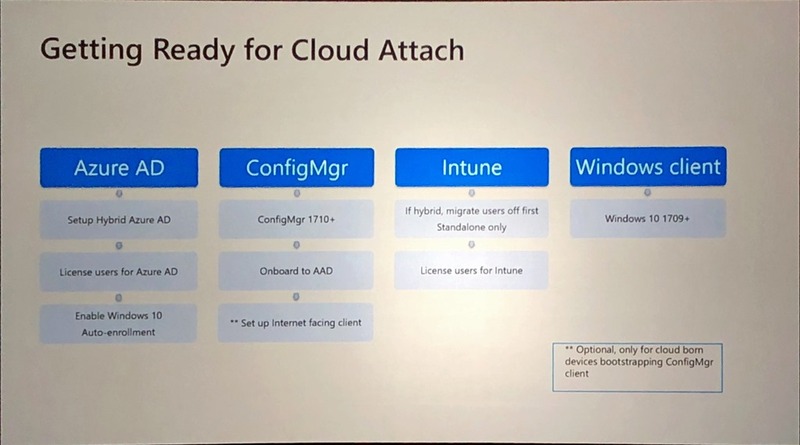 This will allow for a smoother transition to cloud only in the future should you wish to. 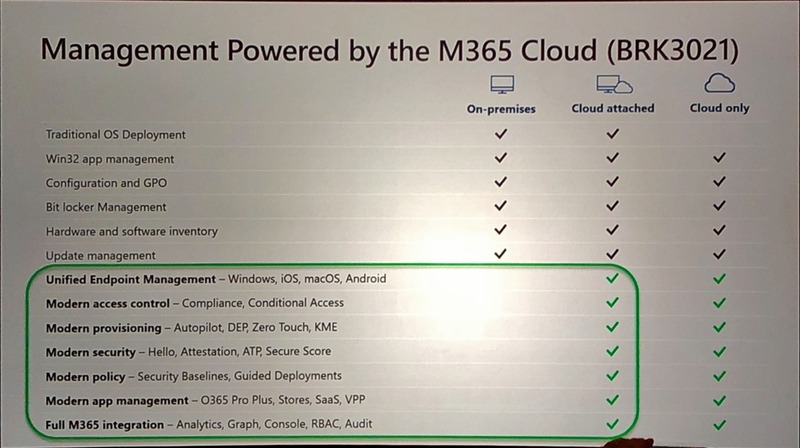 The last image highlights some of the benefits of co-management and cloud only. 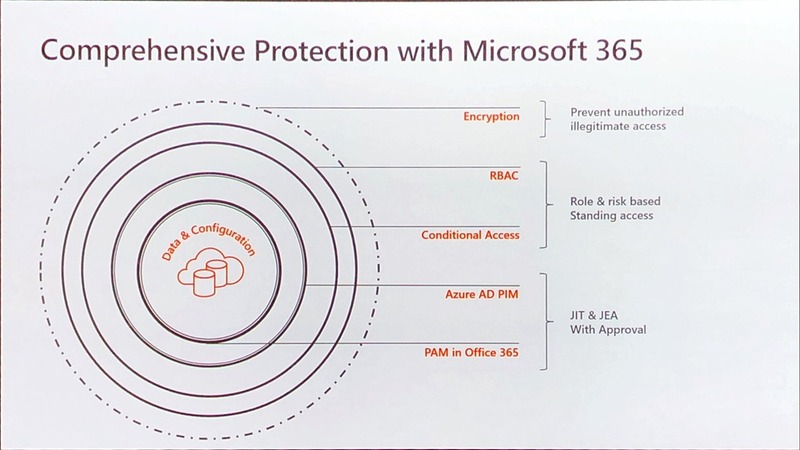 Co-management Security baseline policies should ideally be set using the MDM security baseline for better compliance reporting and the ATP integration. 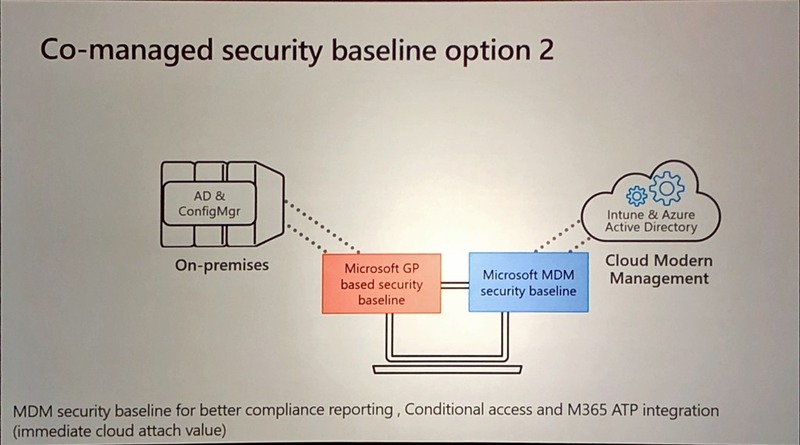 If GPO Security baseline and MDM Security baseline policies are in place it’s recommended that the settings align. 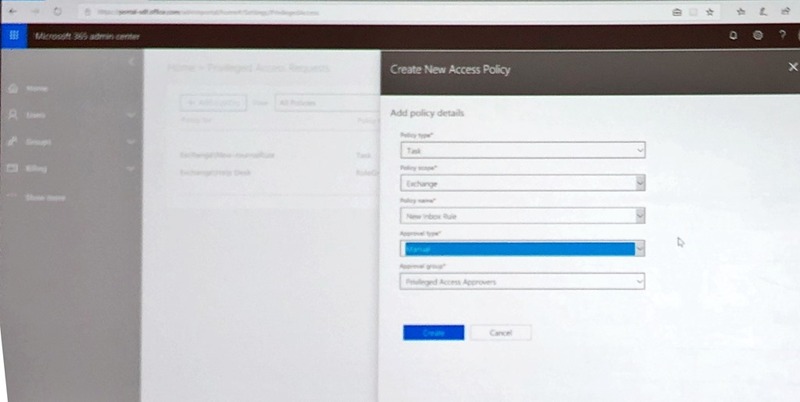 If looking at moving away from GPO to MDM polices please take a look here for the migration analysis tool (MMAT) http://aka.ms/MMAT . 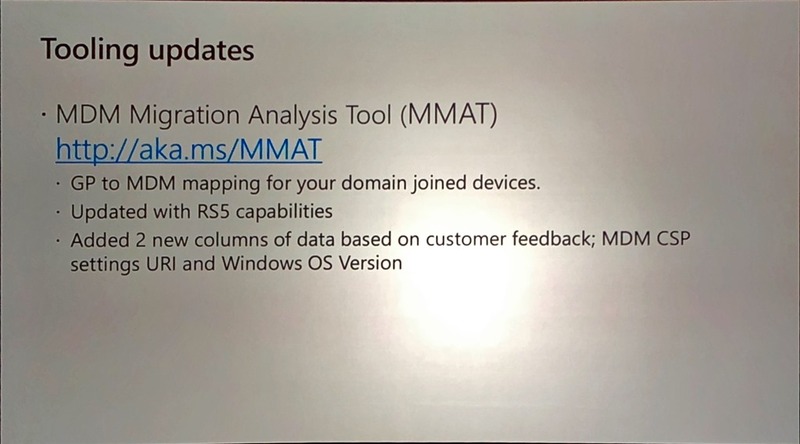 The tool can be run on a domain joined device and will output a report showing the mappings to MDM. Username, IP Address, Location, App and Activity Type. You can also show similar activities from the same IP, by the same user, country and time. 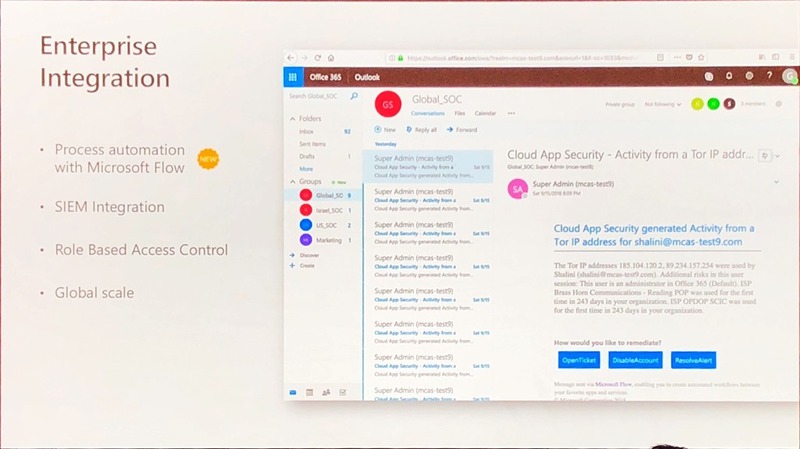 Cloud App Security provides you with the ability to ban apps from accessing users data in Office 365. 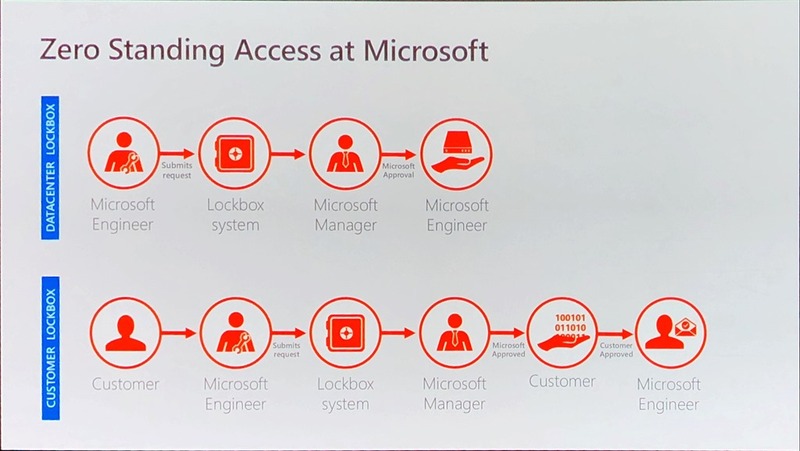 Data centre lockbox – request for restarting servers, services etc. Very specific tasks. 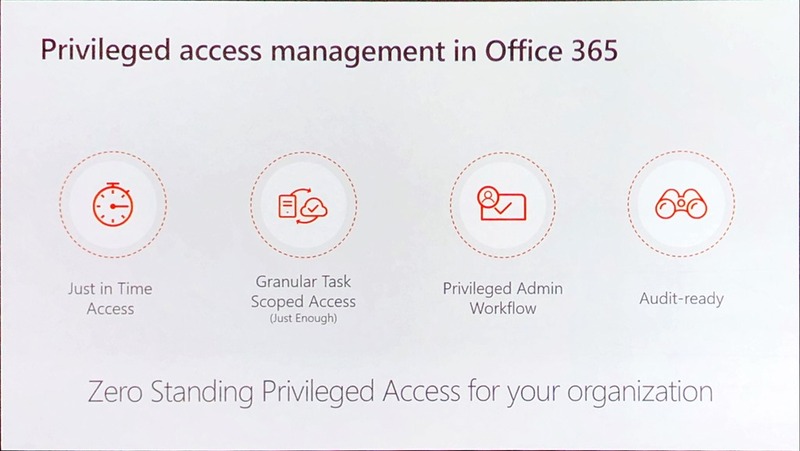 Just enough access is granted and timed. PAM has been built from the ground up with zero-standing access. Just in time access is granted that is scoped to a particular task. PAM policies can be set to manual or auto approval. If manual approval is set, a mail enabled group is required. Auto policies are still audited for full traceability.